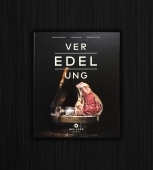 This cookbook is aimed at lovers of game and outdoor cuisine. Who knows game so far only as roast or goulash and has the typical taste of laurel, juniper and red wine sauce on the tongue, can discover here still some. 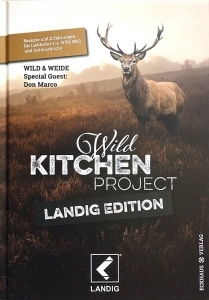 The Landig recipe book par excellence! Why only back and leg when you can eat the whole animal? The motto "from nose to tail", old recipes are reinterpreted and grill classics are transferred to other animal species. So how about a venison T-bone steak, venison meatloaf or the good old oxtail soup from the Dutch Oven?